Bone is the second most frequent target of distant metastases in patients with differentiated thyroid cancer (DTC). However, there is a controversy regarding the long-term outcome of the breast cancer patients wtih bone metastases. This study therefore was designed with the objective of assessing the clinical characteristics related to the long-term outcome and prognosis of patients with bone metastases. We reviewed the medical records of 360 patients of differentiated thyroid cancer followed at our institute from 2007 to 2012. A total of 57 patients were found to have bone metastases, who we analyzed with regard to their basic demographic data, clinical characteristics, treatment and clinical outcomes. The incidence of bone metastases from thyroid carcinoma was 15.8%. The mean age at the diagnosis of bone metastases was 47±18 years (range 16 to 80 years); 46% patients were below 40 years of age and 53.8% of the patients were above 40 years of age. 15.3% were males and 84.6% were females. Histopathologic subtypes included papillary (38%), and follicular (45.6%). Multiple bone sites were involved in 50% of the patients with 29% of the patients with single bone site involvement; and 20.8% of the patients had metastases to other body organs. All patients underwent near-total thyroidectomy followed by aggressive radioiodine therapy. Number of 131I doses received ranged from 3 to 12 with a mean of 6.6. Mean dose of 131I per patient was 48914 MBq ± 20424 (Range: 18130 - 76960). Baseline thyroglobulin (TG) level ranged from 380ng/ml to 17300ng/ml with a mean value of 2250±5644 ng/ml. 60% of the patients showed a declining trend in TG over time, whilst 23% of the patients showed a rising trend; 6.2% of the patients had normal TG/ATG (antithyroglobulin) values throughout the course of disease. 10.4% of the patients had static TG levels. 64% of the patients with bone metastases showed 5-year survival. Multiple bone metastases represent a frequent complication of DTC especially of follicular thyroid cancer. In our population it is more common in females and in patients above 40 years of age. Overall survival rate is very good in the patients with bone metastasis if they are managed aggressively with total thyroidectomy and repeated radioactive iodine. Carcinoma of thyroid is a potentially curable cancer. The estimated incidence of thyroid cancer has increased by 14.6% over the past 40 years, but the estimated death rate has fallen by 21%, probably as a result of earlier diagnosis . Bone metastases from DTC occur in 2-13% of patients. After the age of 40 years, 10% of patients with papillary thyroid carcinoma (PTC), 25% of patients with follicular thyroid carcinoma (FTC), and 35% of patients with Hurthle cell carcinoma develop distant metastases . When bone metastases are present, the overall survival at 10 years was reported to be up to 53% [1,3]. The extent of metastatic disease to the bone and its response to radioactive iodine are associated with survival. Palliative treatment is frequently the only option at diagnosis. Osteolytic lesions are invariable and they reduce the quality of life causing pain, fractures, and spinal cord compression . The extent of metastatic disease to bone and its response to radioactive iodine are associated with survival. Palliative treatment is frequently the only option at diagnosis. Osteolytic lesions are invariable and they reduce the quality of life causing pain, fractures, and spinal cord compression . Distant metastases from papillary carcinoma of the thyroid are uncommon and the subgroup of papillary carcinoma of the thyroid, which develops distant metastasis, is known to have a worse prognosis . Differentiated thyroid cancer has a survival rate of 80-95%; however in DTC with distant metastases this rate comes down to 40%, and in cases with bone metastases, this further reduces to less than 21% [2, 4]. Bone metastases are from mainly follicular or less well-differentiated tumours and 80% occur within the axial skeleton. It leads to excessive bone resorption causing release of various growth factors, which stimulate further tumour growth. Remission rates for single lesions may be as high as 54%, but this falls to less than 3% with multiple bone metastases and usually occurs in those patients under 45 years of age with a small tumour burden and normal appearing skeletal x-rays . The aim of this study was to investigate the prognostic factors of differentiated thyroid carcinoma patients with bone metastasis and to investigate the clinical efficacy of 131I therapy in these patients. From January 2007 to June 2012, 360 patients with differentiated thyroid carcinomas were treated in our institute. Fifty-seven (15.8%) of the 360 patients had bone metastases. The medical records of these 57 patients were reviewed. We investigated the clinical characteristics of the patients including: the treatment received with respect to number of iodine-131 doses, the per patient dose, the importance of the 1st I-131 dose; the prognosis of patients with respect to their serial TG levels; symptomatic response in terms of pain, neurological deficits and reduction in local swelling, and their 5-year survival. The incidence of bone metastases in patients of differentiated thyroid carcinoma in our institute was found to be 15.8%. The mean age of the patients at the time of diagnosis of bone metastases was 47±18 years (range 16 to 80 years); 46% of these patients were below 40 yr of age and 53.8% patients were above 40 yr; 15.3% were males and 84.6% females. The primary histological classification included papillary (38%) and follicular (45.6%) carcinoma. Multiple bone sites were involved in 50% patient; 29% of the patients had a solitary bone lesion; and 20.8% of the patients had metastases to other organs in addition to bone. All patients underwent thyroidectomy followed by multiple 131I therapy doses. Mean number of 131I doses received per patient ranged from 3-12 doses with a mean of 6.6 doses. Mean cumulative 131I dose given per patient ranged from 18130-76960 MBq with a mean dose of 48914 MBq. Baseline thyroglobulin (TG) level was elevated in 93.8% patients and ranged from 380 ng/ml to 17300 ng/ml with a mean value of 2250 ng/ml ± 5644. Serial TG levels were done at 6-12 months intervals before each radioiodine therapy dose. 60% of patients showed a declining trend in TG over time, 23% of total patients showed rising trend, and 6.2% of the patients had normal TG/ATG (antithyroglobulin) values throughout the course of the disease. 10.4% of the patients had static TG levels. Total drop in TG level was estimated in the course of treatment. 48-56% drop in TG level was noticed after 1st dose of 131I therapy (as a fraction of total drop in TG during treatment course). 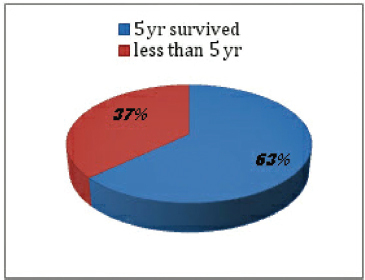 The 5-year survival in patients with bone metastases was 64% (Figure 1). Clinical response in terms of reduction in pain, improvement in neurological deficits or reduction in local swelling was seen in 81% of the patients, whilst 19% of the patients showed no clinical response (Figure 2). None of the patients showed a deterioration with successive 131I treatments. Bone metastases from differentiated carcinoma thyroid can cause serious complications. Unfortunately, the occult clinical presentations usually delay the early diagnosis and proper management . The incidence of bone metastases in differentiated carcinoma thyroid patients in our Institute was found to be 15.8%. This incidence, which is quite high when compared with previously reported incidences of 3.8%, 4.2% and 5.0% [1, 5, 6] may indicate a high prevalence of bone metastases in our local patient population. A study conducted in Tunisia showed similar prevalence as ours at 3.8- 17.9% . The mean age at the time of diagnosis of bone metastases was found to be 47±18 years (range 16 to 80 years). 46% of the patients were below 40 yr of age, whereas 53.8% of the patients were above 40 yr. It therefore appears that the presence or absence of bone metastases is not age-specific as due to the fact that it is equally prevalent in the older and the younger age groups in our population.Carcinoma thyroid is more prevalent in females than males and this is also evident by the preponderance of females patients in our study with a higher percentage of female (84.6%) affected compared with males (15.3%). A larger proportion of patients in our study with differentiated thyroid cancer and bone metastases, had follicular carcinoma (45.6%) compared with papillary carcinoma (38%). This is in concordance with the reported higher incidence of bone metastases in patients with follicular carcinoma (15.2-33.7%) compared with patients with papillary carcinoma (0.6- 6.9%) . A single bone site involvement was seen in 29% of the patients, multiple bone site involvement was seen in 50% of the patients, and 20.8% of the patients had metastases to other organs in addition to bone. Our results are in agreement with the results of previous studies [7, 1], which shows that multiple bone lesions occurred more frequently than single bone lesions. In patients with DTC with bone metastases, Kallel et al. reported multiple bone site involvement in 76% of patients  with Wu et al. in 56.8% . All patients in our study underwent near total thyroidectomy followed by aggressive radioiodine therapy as evidenced by greater number (3-12 doses; mean 6.6) and higher 131I doses (mean dose per patient 48914± 20424 MBq. This may account for a lower proportion of our patients needing palliative surgery. Only 13% of our patients underwent palliative surgeries (e.g. decompression laminectomy, open reduction and internal fixations) compared with 38% (17/44 patients) reported by Kallel et al. .
Baseline thyroglobulin (TG) level ranged from 380ng/ml to 17300ng/ml with a mean value of 2250ng/ml ± 5644. In our study, 60% of patients showed biochemical response in terms of declining TG levels, while 23% of total patients showed a rising trend, 6.2% of the patients had normal TG/ATG (antithyroglobulin) values throughout the course of disease. 10.4% of the patients had static TG levels indicating static disease. Patients in our study population with higher TG levels at the time of diagnosis had poorer prognosis. Our results are in agreement with reported findings by Wang et al. who studied prognostic factors of DTC with pulmonary metastases . 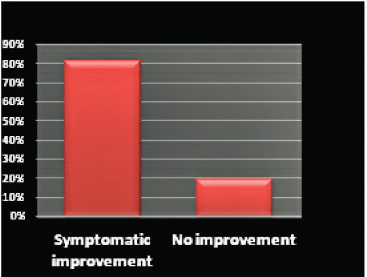 Clinical response was seen in 81% patients with 19% of the patients showing a lack of clinical response. None of the patients showed deterioration with successive 131I treatments. Our results indicate that although bone metastasis are very resistant to therapy and difficult to cure, nonetheless 131I therapy has proved effective in treating bone metastasis from DTC. We noticed a 48-56% drop (as a fraction of total drop in TG during treatment course) in TG level after the first dose of 131I-131 therapy. It appears that in cases of bone metastases the first dose given after thyroidectomy is very important and should be the maximum permissible dose to achieve maximum reduction in TG levels. The 5-year survival in our study was 64%, which is in agreement with results of previous studies, with Schlumberger et al. and Ruegemer et al. reporting a calculated survival rate of 53%, which rose to 92% for <40-year age and dropped to 35% for >40-year age patients [9, 10]. In conclusion, the overall survival rate is very good in the patients with bone metastasis if they are managed aggressively with total thyroidectomy and repeated radioactive iodine. Wu K, Hou S-M, Hung T-S, Yang RS. Thyroid carcinoma with bone metastases: a prognostic factor study. Clin Med Oncol 2008; 2:129–134. Muresan MM, Olivier P, Leclère J, Sirveaux F, Brunaud L, Klein M, et al. Bone metastasis from differentiated thyroid carcinoma. Endocr Relat Cancer 2008; 15(1):37–49. Ota T, Bando Y, Hirai M, Tanaka N, Takabatake Y. Kasahara Y, et al. Papillary carcinoma thyroid with distant metastasis to cerebellum: a case report. Jap J Clin Oncol 2001; 31:112–115. Elshafie OT, Hussein S, Al-Hamdani A. Multiple bone metastases in a patient with differentiated thyroid cancer (DTC). Sultan Qaboos Univ Med J 2010. Marcocci C, Pacini F, Elisei R , Schipani E, Ceccarelli C, Miccoli P, et al. Clinical and biologic behavior of bone metastases from differentiated thyroid carcinoma. Surgery 1989; 106:960. Proye CA, Dromer DH, Carnaille BM , Gontier AJ, Goropoulos A, Carpentier P, et al. Is it still worthwhile to treat bone metastases from differentiated thyroid carcinoma with radioactive iodine? World J Surg 1992; 16:640. Kallel F, Hamza F, Charfeddine S , Amouri W, Jardak I, Ghorbel A, et al. Clinical features of bone metastasis for differentiated thyroid carcinoma: a study of 21 patients from a Tunisian center. 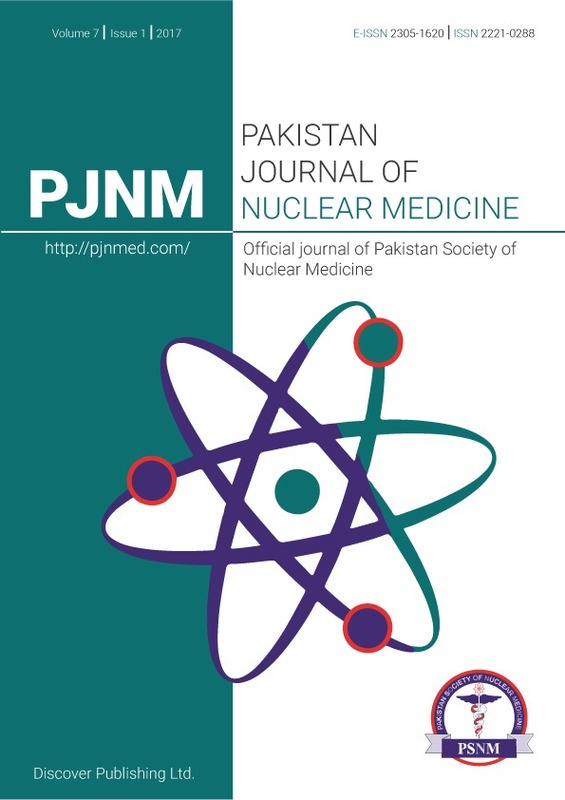 Indian J Endocrinol Metab 2014; 18(2): 185–190. Wang R, Zhang Y, Tan J. Analysis of radioiodine therapy and prognostic factors of differentiated thyroid cancer patients with pulmonary metastasis. Medicine (Baltimore). 2017; 96(19):e6809. Ruegemer JJ, Hay ID, Bergstralh EJ, Ryan JJ, Offord KP, Gorman CA. Distant metastases in differentiated thyroid carcinoma: a multivariate analysis of prognostic variables. J Clin Endocrinol Metab 1988; 67:501. Schlumberger M, Tubiana M, De Vathaire F , Hill C, Gardet P, Travagli JP, et al. Long-term results of treatment of 283 patients with lung and bone metastases from differentiated thyroid carcinoma. J Clin Endocrinol Metab 1986; 63:960.